ICv2 recently interviewed Seiji Horibuchi, founder of Viz Media and founder and CEO of New People (see “Giant J-Pop Center Opens in August”). In Part 2 of this three part interview, Horibuchi talks about the development of the manga market in the U.S. since the founding of Viz 25 years ago, and its future. In Part 3, Horibuchi shares his view of the anime and broader markets for visual Japanese pop culture in the U.S. In Part 1 (which has lots of photos), Horibuchi brought us up to date on the New People development in San Francisco, and on New People Entertainment, which specializes in bringing live action Japanese cinema to North America. It’s been about 25 years since we first met you as you were organizing Viz. The U.S. market for Japanese pop culture has gone through a lot of changes since then, and we’d like to get your reflections on those changes. First, on manga, what do you make of the rapid increases in manga sales in the U.S., until a few years ago, and their equally rapid declines since? The decline of manga sales is due to many reasons. As you know, one of the largest bookstore chains, Borders, has closed, and it had a huge effect on the industry. The continued flat economy has also depressed consumer buying. And generally speaking, many publishers are in the process of the transition to digital books, media and distribution, which is an expensive and often unpredictable proposition. This is a period of major transition and re-strategizing and I think overall sales will start to rise again as this transformation evolves and is more widely integrated. Piracy also has played an unfortunate but significant role and both American and Japanese companies have had to work hard to stay profitable in such an unpredictable market and protect their intellectual property. On the other hand, I definitely feel that the popularity of Japanese pop culture and the overall number of people interested has increased steadily. I think people’s interest in global pop culture, and in Japanese pop culture specifically, is broadening to include fashion, film, music, and art. I hope to foster a real global community of fans and artists influenced by many facets of what is called Japanese pop culture. What are your observations on the rapid growth of digital comics content, and the less rapid embrace of that medium by manga publishers? Going digital is a natural evolution for the publishing industry. Viz Media has definitely focused on moving in that direction, and they have been very successful. But I think this transition will take time to set in completely with both publishers and customers, and we’re bound to continue to see some big changes in the market. U.S. publishers and distributors of Japanese content always face an added challenge in that they must secure the endorsement of the creators and rights holders back in Japan and this process can be slow and expensive and further impede the speed at which this digital transformation has taken place. But this convergence will continue regardless, and there will likely be an even bigger move to digital comics as a whole in North America over the next year for sure as the prices on tablet devices continue to go down and more choices are made available. 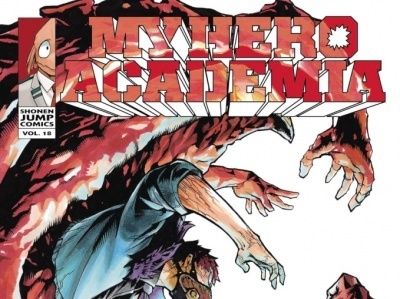 There’s been a big reduction in the number of U.S. publishers licensing manga content. One new Japanese publisher has entered the U.S. market directly, but otherwise it just seems like there are fewer ways for manga content to reach U.S. readers. What are your thoughts on this trend, and do you think it’s something that’s going to make it more difficult for manga to grow again in the U.S.? I don’t necessarily believe that the overall number of manga readers is decreasing, but their tastes are definitely evolving and many that read manga as kids are now adults themselves and many more have families. What I began in the 80s, bringing Japanese entertainment content to the U.S. and exposing consumers to manga and anime, has been tremendously successful for Viz and many other companies, and I’m grateful to have been able to play a role in it. Manga, and the graphic novel format in general, has been firmly embraced by mainstream tastes and it still continues to evolve. And evolution can be difficult at times. What we need for the manga industry to continue to be successful is consistently strong content. As you know, Japan is currently having a very hard time economically and it also suffers from depressed national spirit following the tsunami disaster. There haven’t really been any massively popular titles that have come out recently. But despite that I think the U.S. market remains very viable with some significant opportunities and partnerships still to be developed. The demand for better and better content will continue to be strong. Another significant growth opportunity is in mixed media, such as manga-based anime, live action films and video games. The interest in these areas is growing as well both among US film studios and licensors in other countries. I believe that Japanese pop culture has a healthy future and will continue to evolve and have a big presence in the Unites States. Where do you see the U.S. manga market in 2016? This is a good question! I predict that "light novels" will become more popular in the future. Light novels are literature written for a young adult audience that includes roughly the same demographics as manga, anime and video games. Light novels have the essence of manga, animation, and video games combined. It has been a tremendously popular genre in Japan for the past six or seven years and continues to grow both there and in the U.S. Viz Media’s Haikasoru imprint has published some good examples. Some popular anime films have been based on light novels and I think publishers here in the U.S. will begin to publish more of these titles as more readers become aware. Once the digital transition is complete, I think manga could enjoy an even wider following in 2016, both in the U.S. and other countries outside Japan as well. 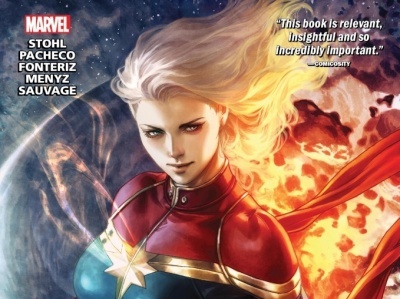 U.S. publishers are getter ever closer to the simultaneous release of manga titles with their Japanese counterparts and digital channels will allow this to happen even faster. The digital medium also allows readers to browse, archive and transport manga more conveniently and compactly on a digital device than they ever could with the traditional print versions. I think this idea will have firmly taken hold in the U.S. consumer consciousness by 2016, not only for manga, but also for nearly every other form of media as well.